Do you love to frame your world through camera angles? Would you love to edit the montage of your life like a film director? Then here’s a flash-forward into your future. 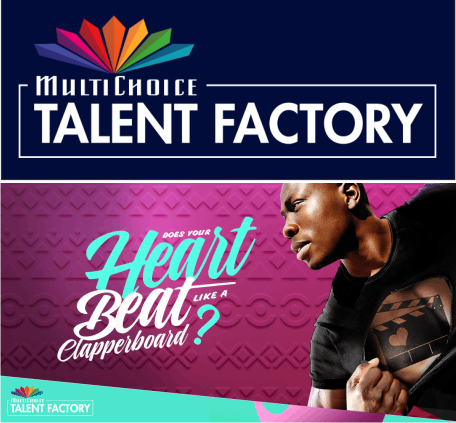 MultiChoice Africa is calling all aspiring film directors, DOPs, sound guys, and scriptwriters to help them ignite Africa’s creative industries. Who knows, perhaps one day your name will be rolling across the closing credits on their DStv channels. the spouses, life partners, business partner or associate, or the natural or adopted parent, child, or sibling of those stated above. must be willing to assign to MultiChoice or any third party nominated by MultiChoice, all Intellectual Property Rights in and to any Work, idea, or any part thereof, created and/or developed by them during the course of the MTF Academy programme, and to waive all rights arising under any laws relating to copyright, patents, trademarks or other Intellectual Property Rights. In this regard, successful applicants acknowledge that the ownership of the copyright, for the duration of the copyright and any renewals thereof, in and to the Works and the production of the cinematographic films and ancillary rights, shall vest exclusively in MultiChoice. Accordingly, MultiChoice will have the right to exhibit, distribute and exploit the production via all forms of television, however delivered now or in the future and to any device.